The Modern Language Association, the authority on research and writing, takes a fresh look at documenting sources in the eighth edition of the MLA Handbook. Works are published today in a dizzying range of formats. A book, for example, may be read in print, online, or as an e-book--or perhaps listened to in an audio version. On the Web, modes of publication are regularly invented, combined, and modified. Previous editions of the MLA Handbook provided separate instructions for each format, and additional instructions were required for new formats. 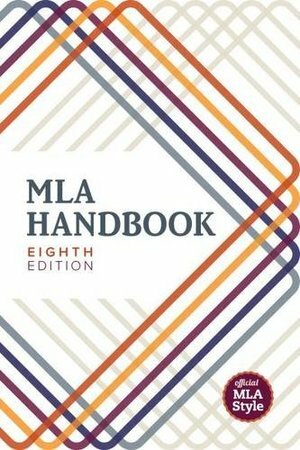 In this groundbreaking new edition of its best-selling handbook, the MLA recommends instead one universal set of guidelines, which writers can apply to any type of source.Shorter and redesigned for easy use, the eighth edition of the MLA Handbook guides writers through the principles behind evaluating sources for their research. It then shows them how to cite sources in their writing and create useful entries for the works-cited list.More than just a new edition, this is a new MLA style.